MILAN – Inter win again, and make it four consecutive wins since the arrival of Leonardo on the bench: Bologna are defeated 4-1 in the Saturday evening game of Week 20 of the Serie A 2010/11, which marked Javier Zanetti’s very important record, equalling Beppe Bergomi’s. 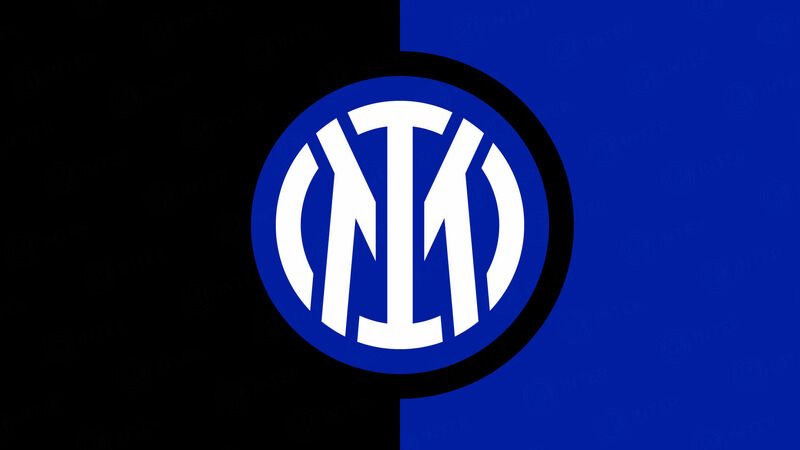 Today, president Massimo Moratti’s first signing reached 519 appearances in the Serie A with the Nerazzurri colours. And even tonight the captain was unstoppable, as he contributed to the Nerazzurri’s win. First, Eto’o’s assist for Stankovic saw the Dragon tap the ball in for the lead. Then it was Diego Milito’s turn, as he gave the fans what they were calling for, with his left footed effort beating Viviano for the 2-0. After Stankovic and Milito, how could Eto’o not score? And as if by magic, a wonderful back-heel by the Prince served the striker for the 3-0 and his 22nd goal of the season, to which the Cameroonian added just 9 minutes later from a free-kick. 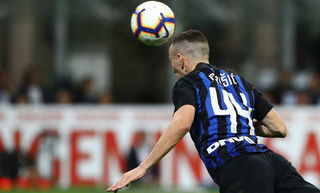 Four goals for the Nerazzurri, but Gimenez managed to pull one back. FIRST HALF – Leonardo stuck with the starting eleven that defeated Catania last weekend. 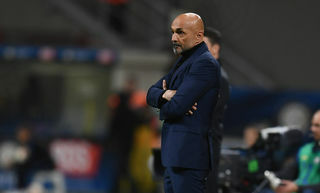 Marco Di Vaio, with eleven goals scored already this season, shouldered the responsibility of a Bologna side that needed to climb back up the table after being docked points. 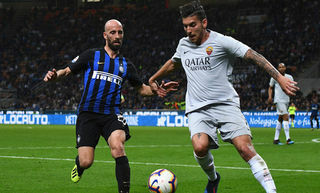 But it was Inter who started the better of the sides, dictating the pace of the game which the Rossoblu had to follow: on 4 an exchange between Cambiasso and Milito led to the first chance for the Nerazzurri, Milito though was stopped and the ball went out for a corner. From the developments of a corner, the Prince headed the ball onto the post after Lucio set him up (5). One minute later Eto’o had his right footed attempt from the edge of the box saved by Viviano. Inter then continued in their assault of Viviano’s goal. On 12 minutes Bologna also had a go as Ramirez shot with his left, but Castellazzi deflected out for a corner. And as the visitors tried to pierce a hole in the Nerazzurri’s defence, Gracis served Ramirez in the box, but he was stopped by Lucio. 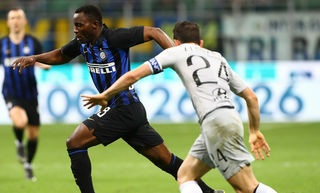 After 20 minutes Inter took the lead: exploiting a Mudingaiy defensive error, Stankovic intercepted the pass and tapped the ball in for the 1-0. Just 10 minutes later Inter made it two; and it was from the man all the fans were calling for: Diego Milito. From a Thiago Motta vertical ball, the Prince controlled the ball and with his left beat Viviano, the Bologna goalkeeper got a touch on the ball but couldn’t hold onto it and the result became 2-0. On 34 Bologna had their best chance: Di Vaio lost his two markers and went for the target, only a super Castellazzi prevented the goal and deflected out for a corner. The Rossoblu striker tried again 2 minutes later from a free kick and again the Nerazzurri goalkeeper sent his effort out for a corner. After 2 minutes of injury time, Gava sent the teams into the dressing rooms. Goal scorers: 20 Stankovic, 30 Milito, 53 and 62 Eto'o, 77 Gimenez. Inter: 12 Castellazzi, 13 Maicon, 6 Lucio, 2 Cordoba, 26 Chivu; 4 Zanetti (39 Santon, 86), 19 Cambiasso, 8 Thiago Motta (17 Mariga, 68); 5 Stankovic; 9 Eto'o (27 Pandev, 75), 22 Milito. Unused subs: 21 Orlandoni, 15 Ranocchia, 23 Materazzi, 88 Biabiany. Bologna: 1 Viviano; 8 Garics, 6 Britos, 13 Portanova, 19 Rubin; 10 Ramirez (24 Buscè, 81) , 15 Perez, 26 Mudingayi (20 Gimenez, 50), 7 Della Rocca; 12 Ekdal (32 Casarini, 63); 9 Di Vaio. Unused subs: 22 Lupatelli, 16 Esposito, 17 Radovanovic, 21 Cherubin. Referee: Gabriele Gava of Conegliano. Zanetti: "I love this black-and-blue jersey"
Leonardo: "Let's not work out all the permutations"